The co-director of Disney’s Zootopia, Byron Howard ’90, received top honors for Best Animated Feature at the 2017 Oscars. Zootopia was released in March of 2016 and earned $1.024 billion. American film director, producer, screenwriter, animator, artist, and voice actor, Byron Howard works at Walt Disney Animation Studios. 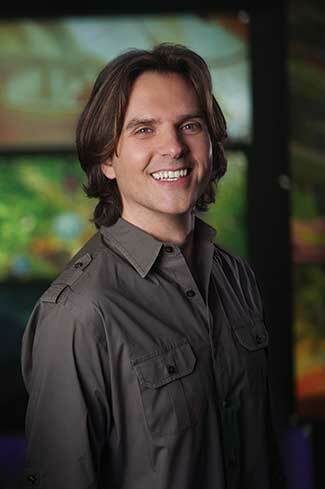 Howard also directed the Disney movies Bolt (2008) and Tangled (2010), for which he was nominated for a Golden Globe. The film features two contrasting characters, a budding bunny detective, Judy Hopps, and her newly-appointed partner, the cunning and sly fox detective, Nick Wilde. The partners work to get over their own differences in order to uncover corruption in the metropolitan city of Zootopia. The film addresses prejudice and racism through division among the animal characters. “We wanted Zootopia to be a film that not only entertained kids, but also spoke to adults about embracing diversity even when there are people who want to divide us by using fear,” Howard noted in his acceptance speech. Zootopia characters Officer Judy Hopps and small-time con artist Nick Wilde waiting on Flash the sloth, the fastest employee in the DMV. Howard’s interest in an animation career was sparked during a visit to the Disney Animation Studios at Walt Disney World. He structured his undergraduate curriculum at Evergreen—where he studied storytelling through literature and film—based on the advice of two veteran Disney animators he consulted. Howard’s first gig at Disney was as a tour guide at Disney-MGM studios in Orlando, where he devoted much of his free time to perfecting his artwork. After four portfolio submissions, he was accepted into a Disney animation internship and hired by the studio in 1994. He rose through the ranks, from an “inbetweener” (an animator’s assistant who makes the drawings that go between the key poses drawn by an animator) on Pocahontas to an animator on Mulan to the lead character animator for Lilo & Stitch and Brother Bear. 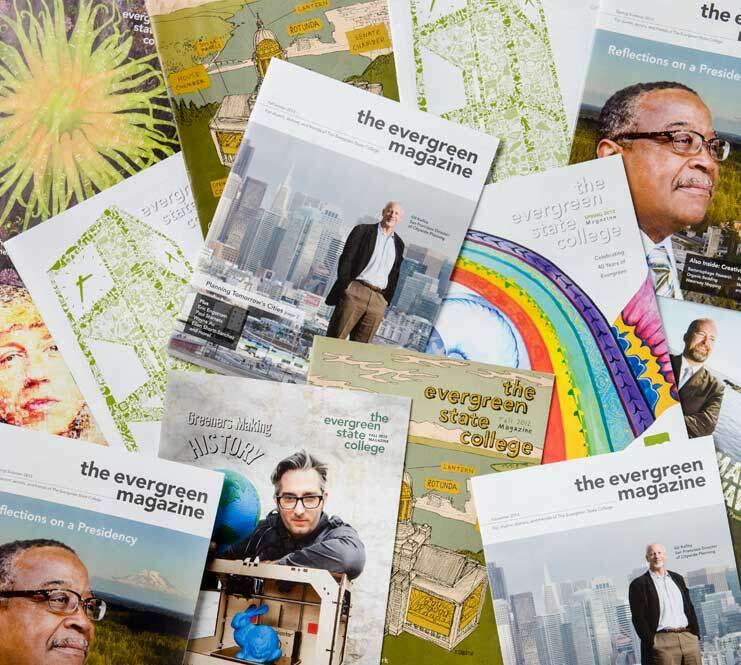 Evergreen has a long track record of producing award-winning animators, cartoonists, and filmmakers including Matt Groening ’77 (The Simpsons), Lynda Barry ’79 (Ernie Pook’s Comeek), Craig Bartlett ’81 (Hey Arnold! and Dinosaur Train), Dana Simpson ’99 (Phoebe and Her Unicorn), producer Audrey Marrs ’99 (No End in Sight, Inside Job—for which she won an Oscar, and Time to Choose) and others. In the college’s Center for Creative and Applied Media, animation labs, and media loan department, students in any area of study can learn about and borrow video, photography, and audio gear to support creative multimedia work. In the metropolis of Zootopia, animals of all shapes, sizes, and backgrounds reflect our human differences. All images courtesy of Walt Disney Animation Studios.